When you’re not able to carry a concealed firearm, for either personal reasons or because of state regulations preventing you from doing so, a concealed knife may be your only remaining option for self-defense in case a physical confrontation occurs. However, it’s easy to understand why carrying a blade as opposed to a firearm can be different and requires a different set of checks before you know you’re ready to carry it into the world. One of the greatest benefits of a concealment knife is its smaller size, however this also comes at a cost because it can be much harder to deploy a bladed weapon when you need it. Placement of a concealed knife is crucial, as the optimal location is almost always dependent on the situation that requires it. 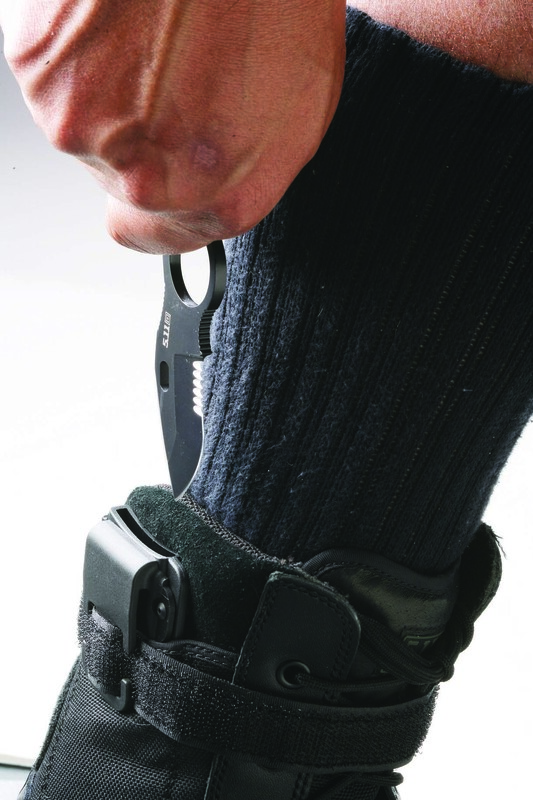 Here are a few tips to keep in mind when deciding the placement of your concealed knife. Your knife placement will depend largely on what you’re wearing. Tight fitted clothing, skirts or dresses may limit a wearers placement options, requiring a different location for some people. Additionally a knife’s design or size may be a limiting factor, as a knife that is too long can be difficult to conceal, difficult to draw, and may even cause discomfort when wearing. In this aspect, concealing a knife requires much of the same logic when concealing a firearm: the end goal is making sure that your weapon is both concealed and accessible from any position you might be in. Generally speaking, you’ll want to draw your blade from the strong side of your body. Ideal positioning may be on the inside or outside of your waistband. The benefit of carrying a blade in this way is it remains snug and secure between your abdomen and pants, while also remaining concealed from view. It’s important that the sheath remain snug, as otherwise when you attempt to draw the blade the sheath may come with it resulting in a less than ideal scenario. If the option is available, think of selecting a sheath with a belt clip, as this adds an extra level of security. For women who may not desire to wear pants, an option may be to wear the knife hanging around the neck with a sheath attached. 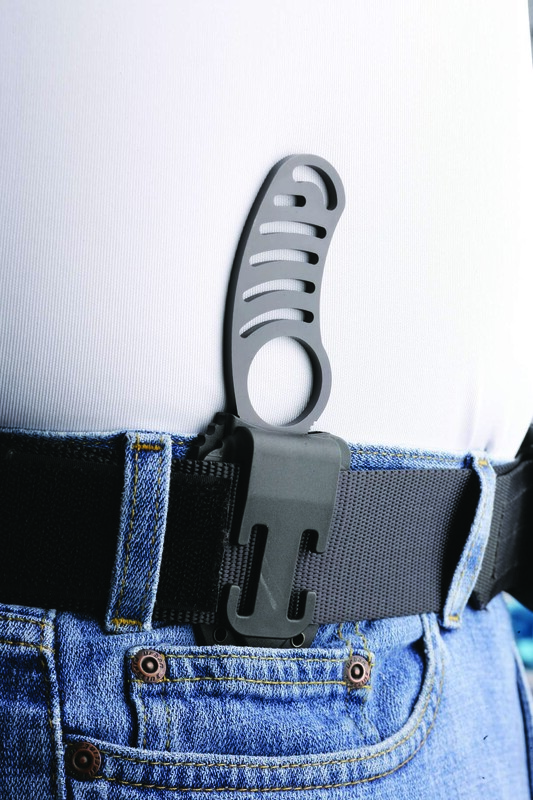 A belt clip attached to the sheath could then clasp to the bra, allowing for easy access, security and concealment. All of this is pointless, of course, unless you have properly trained drawing from wherever you have your knife concealed. Practice regularly until you have the feel of the draw down, as well as a feel for how the draw might go depending on what clothes you’re wearing. Make sure the blade can be drawn with minimal interference from your clothing, as well as little chance as possible to accidently injuring yourself. The last thing you need is a potential injury when needing to defend yourself. Keeping these thoughts in mind will prepare you for ideally carrying a concealed knife.